my rubbish attempt at trying to tie a bow properly, it was much nicer when it arrived! hello! 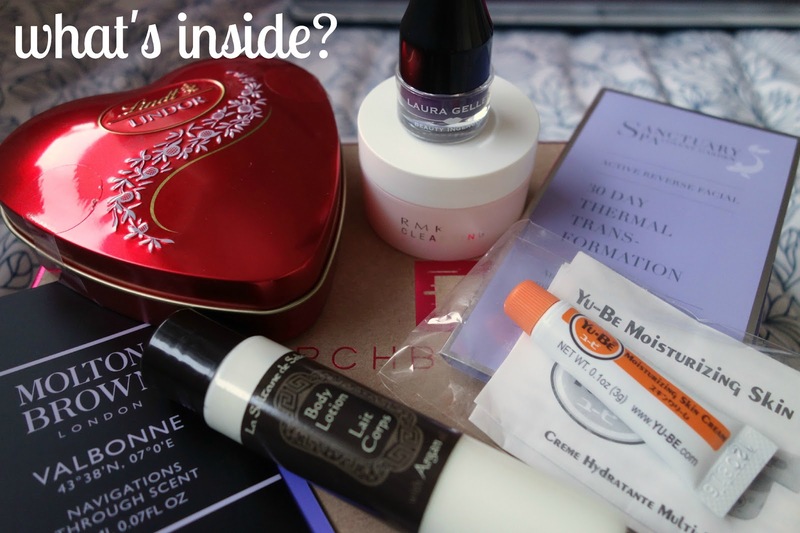 i’m quite excited about today’s post as i’ve never had a beauty box before. when the concept of the beauty box first came out, there was a huge hype surrounding them and everyone and their mothers went and signed up. after reading mixed reviews (some were utter disappointments, to be fair), i pondered getting one for quite a while and then eventually pushed the thought to the back of my mind. 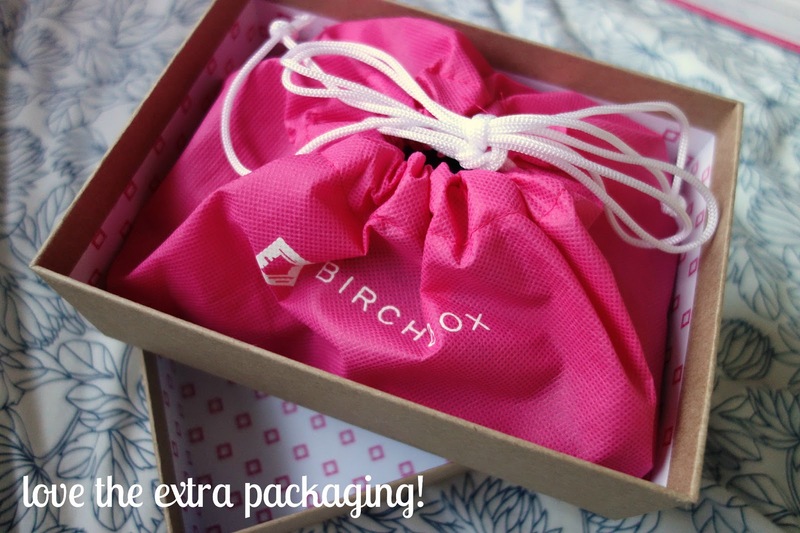 buuut, my opinions have changed since i received a preview of the march birchbox* (normal price: £10 per month plus p+p). first of all, i was so excited about it arriving and then i was even more excited to open it. sad, i know, but i do enjoy getting deliveries. so, inside is a little box and everything came in a drawstring bag, which i thought was a nice touch! i’ll definitely be using it to throw my products in if i go away for a weekend. it’s good when a little extra actually becomes useful. molton brown valbonne fragrance, full size £65: i do quite like the smell of this. it’s strong without being overpowering, warm and quite rich without giving me a headache. birchbox describe this as ‘sophisticated’ and i know it’s really hard to talk about a perfume, but i’m inclined to agree. i’d have to spray it a few more times (and get the bf’s verdict) before i dropped £65 for the full size i think. BONUS lindt lindor truffles, full size £2.99: i thought this was a sweet little extra as they’re actually my favourite chocolates in the world. obviously shoved three out of four of them in my face immediately, gave one to my mum though. see, i am nice. la sultane de saba body lotion with argan oil, full size £26.50: a brand i’ve never heard before, but it smells quite nice and seems rich enough for my liking so look forward to giving it a go! i have quite a lot of body moisturisers though, so it will have to wow me for me to purchase. laura geller inkwell waterproof gel liner, full size £24.50: i wear eyeliner every single day, i just wouldn’t be me without my cat flicks, so i was quite pleased to see an gel liner in the box. now, part of me kind of wishes it had been black but instead it’s a purple shade, which is actually really pretty. having sworn to myself that i’d wear more colour, i’ll give it a shot! RMK cleansing balm, full size £29: i think i’m a cleansing balm convert (with blame fully resting on emma hardie) so i was eager to try this product. RMK are a brand i’ve heard a lot about, but never got round to sampling. the scent is ok, not my favourite, but i’m not a huge fan of rose even if it’s as subtle as it is in this balm. i’ve used this a few times so far and it is quite nice, will have to finish the tub to get a full opinion though. yu-be moisturizing skin cream, full size £19.50: now, i do quite like asian brands. they’ve all pretty much nailed skincare and i mean c’mon, the japanese don’t age (yes i’m jealous, there’s not a day that goes by that i don’t wish i was japanese. seriously). buuut, i am sadly allergic to this cream! i tested it on my wrist and, maybe it was something in the fragrance, but it did not agree with me. luckily though, i know another blogger who is going to take it off my hands and review it, so all is not lost for this little sample! BONUS sanctuary 30 day thermal transformation mask, full size £27.50: i’ve always had mixed feelings about sanctuary products. part of me thinks they’re alright (i love their charcoal mask) and the other half wishes people would stop getting me their stuff for christmas. in this little sample there’s a sachet of peptide transformation serum and another of their thermal rose clay mask. i think you could get 2, maybe 3 uses out of each, which gives a first impression but not enough to tell if it would make a long term difference. i do love a good mask though so will be trying this out very soon! conclusion: despite being allergic to a product (which i always fully prepare myself for, damn sensitive skin) i actually really enjoyed trying out the whole beauty box service. it’s introduced me to new brands and i got to try one on my wishlist, which is always good in beauty world as i tend to get stuck in a rut with brands. 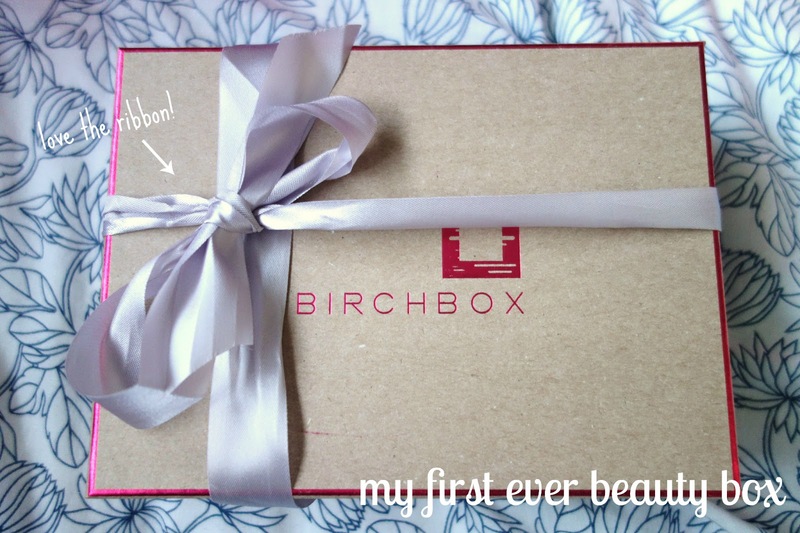 i would love to try another birchbox and will be fully reviewing any products that i get along well with in my up and coming skincare series! 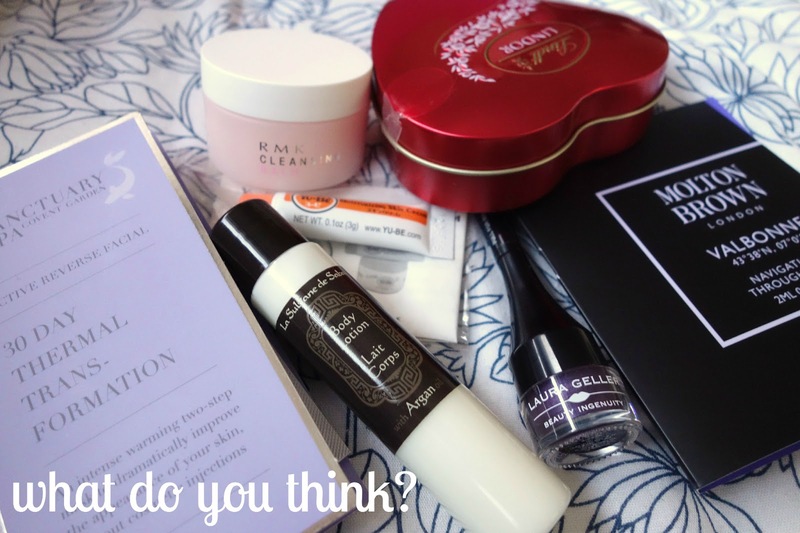 have you ever subscribed to a beauty box? would you consider it? tell me what you like or loathe about them, i’m interested to hear! *pr sample, but all views are my own, of course. you wouldn’t see a professional pr person ramble on as much as me, would you?